As an engineer for the U.S. Digital Service, Marianne Bellotti has encountered vintage mainframes that are still being used in production — sometimes even powering web apps. Last month she entertained a San Francisco audience with tales about some of them, in a talk called “7074 says Hello World,” at Joyent’s “Systems We Love” conference. Created under the Obama administration, The U.S. Digital Service was designed as a start-up-styled consultancy to help government agencies modernize their IT operations, drawing engineering talent from Google, Facebook and other web-scale companies. So it was fascinating to hear Bellotti tell stories about some of the older gear still running, and the sometimes unusual ways it was paired with more contemporary technology. “The systems that I love are really the systems that other engineers hate,” Bellotti told the audience — “the messy, archaic, half chewing gum and duct tape systems that are sort of patched together. Bellotti was there to share stories about what mainframes are doing out in the wild today. “I work with some really really old machines,” she told the audience. And one of her strangest examples was a mainframe that provided a JSON API. The middleware was a Java application that could talk to the terminal and scrape data from it. And the most amazing part was their performance testing numbers showed the data was being returned in between one and six milliseconds. “I’m like ‘What?! That’s crazy! How did you get a 7074 to return within one to six milliseconds? That’s magic! '” Bellotti said. Eventually, Bellotti discovered their secret weapon — which turned out to be another bank of mainframes. 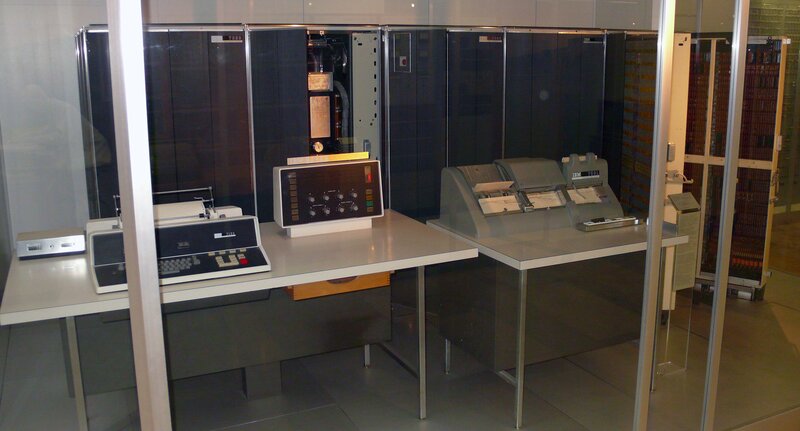 “They had some older mainframes that they needed to do particular functions with, and so they would do the data entry into those older mainframes, and those mainframes would write to the magnetic tape. And then about once a week, a different group of mainframes would run an automated job that would harvest that data from the magnetic tape and load them up into more traditional databases.” That Java application was extracting the data from the databases — and somewhere there was a ClearPath Dorado 780 in the mix, running an OS 2200. But the data from the mainframes was actually arriving (from its new home in the database) in less than six milliseconds. The bottleneck was — of course — the Java application. It brought home Bellotti’s essential lesson — that sometimes the best solutions may often lie in our past. And as if fate wanted to underscore her point, Bellotti’s presentation began with a brief delay when her laptop refused to bring up her presentation’s slides. 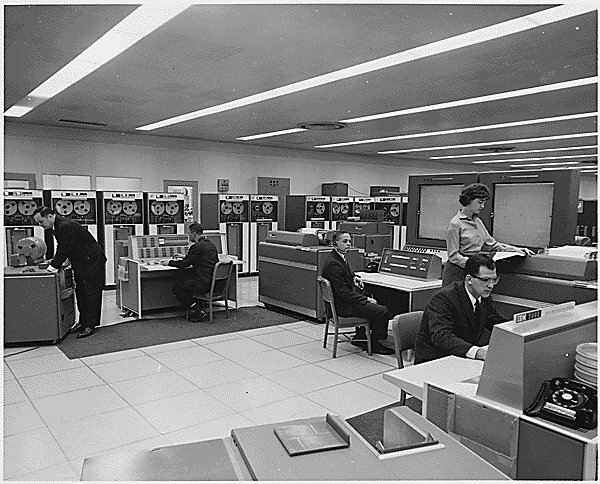 “This is what I get for bringing a Mac instead of an IBM mainframe,” she joked. For Benjamin Franklin’s birthday, his first piece of printing reappears. New stand makes your Apple Watch look like a classic 1984 Mac. For the first time, scientists photograph the rare ruby sea dragon. TIOBE announces that for 2016, “the language of the year” was Go. Opera releases a wild new experimental browser named Neon. Stranger takes a great photo of a wedding proposal, then finds the lucky couple using Reddit. IBM and Joyent are sponsors of The New Stack.